Depart from Cairo to Athens, upon your arrival you will be met, assisted, and transferred to your hotel in Athens for check-in. The remaining of the day will be free, giving you the chance to begin your exploration of the city. 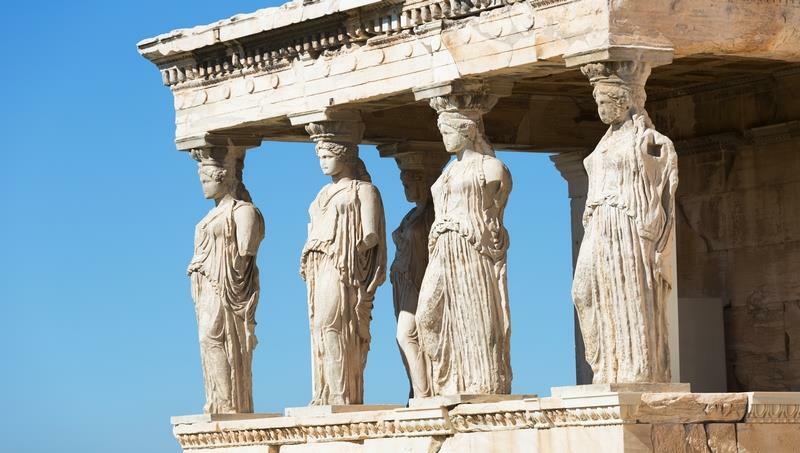 Enjoy an optional Athens City tour with Acropolis Museum. This tour gives you an excellent introduction to highlights, both old and new, of a truly fascinating city. The tour also includes a visit to the New Acropolis Museum. 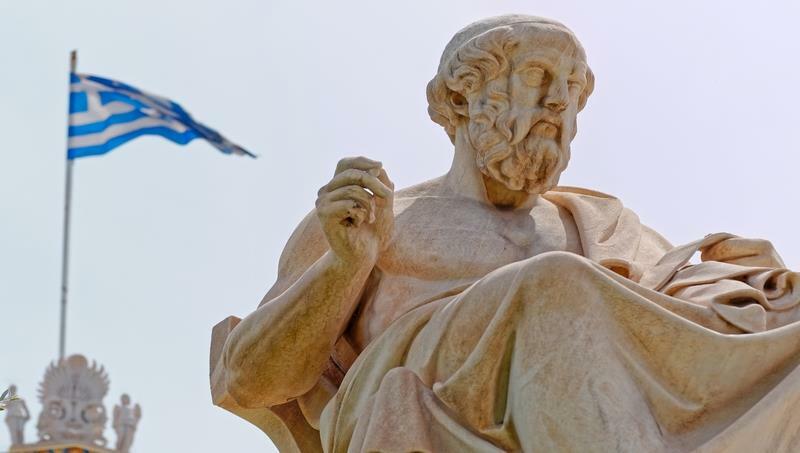 After the tour, you will be transferred back to the hotel for an overnight stay in Athens. 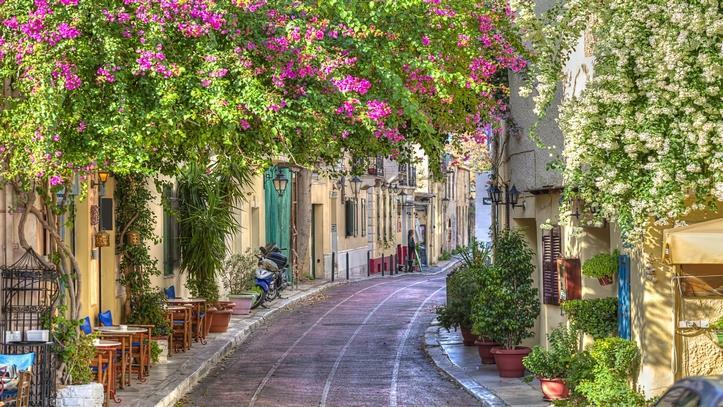 Of course you want to return from Athens with a palette of wonderful impressions that you will cherish forever. 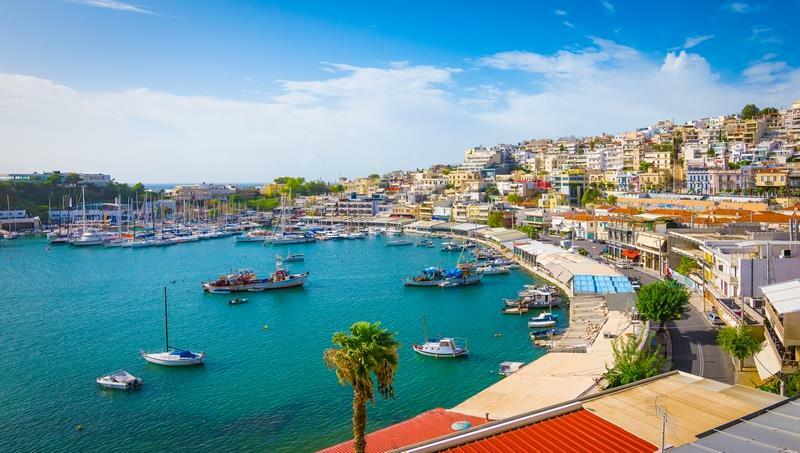 Therefore, don’t waste your chance to enjoy an optional cruise, by far, the most beloved cruise in Athens where you can discover 3 different islands, Aegina, Poros and Hydra. 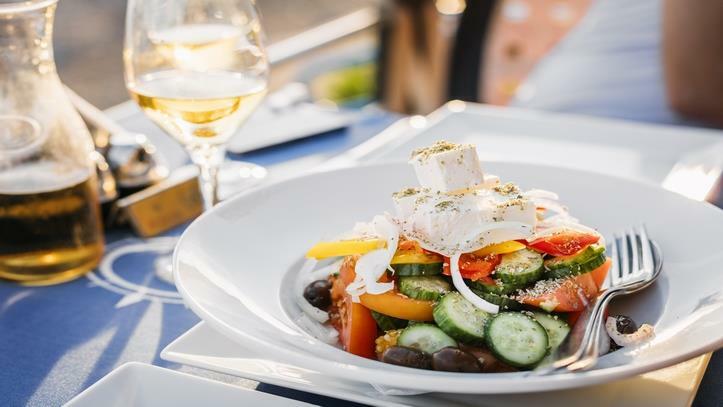 You will be amused by the delicious food, live music, dancing, entertainment and many other things on this wonderful voyage to the Greek islands. Do you want to spend a traditional Greek night? 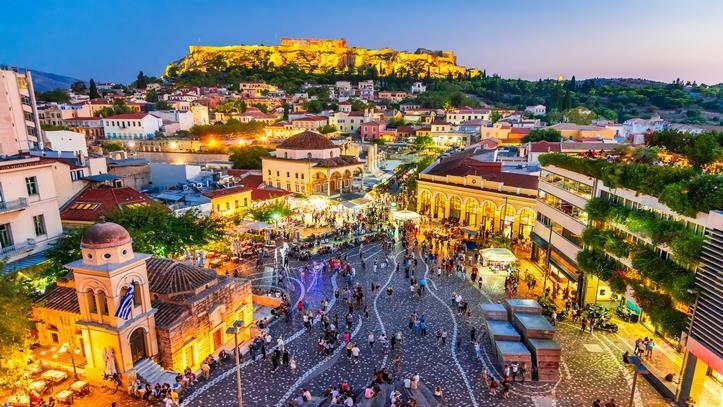 Then you should go on this optional Greek night where you will enjoy an evening dinner tour with a pleasant scenic drive, dinner with live floor show at a typical Greek taverna and other things that will expose you to a different culture. Overnight in Athens. 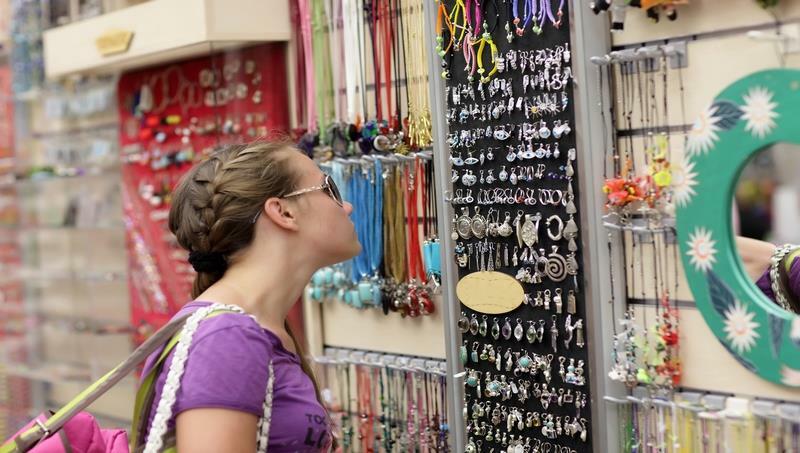 Fulfill all of your shopping needs with an optional Shopping Outlet tour. 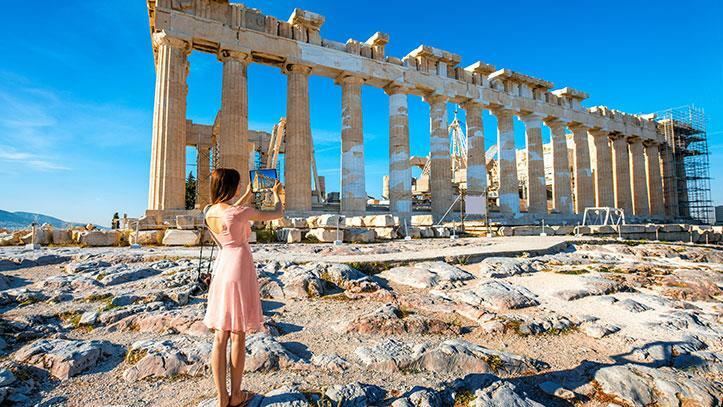 Upon completing the tour you will be transferred back to your hotel for an overnight stay in Athens. If you are looking for a less crowded beach with all the beach facilities like volley courts, snack bars and a play area for the children, then you can go for the optional Varkiza Athens where the sandy beach of Varkiza is pretty far from the City Centre and more secluded. Overnight in Athens. After a hearty breakfast at the hotel, you will check–out and be transferred to the airport for your return flight back to Cairo. All prices are subject to change due to unforeseen fluctuation in foreign exchange rates and/or incidental taxes imposed without prior notice. City tax to be paid directly by the client. Travco’s Tour Leader for minimum 15 persons. 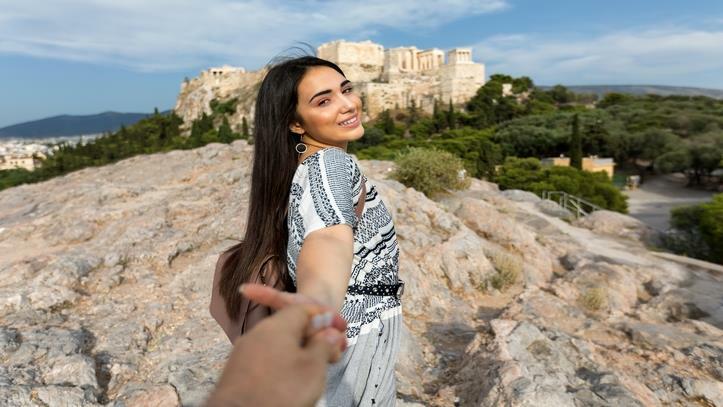 Optional Athens City tour with Acropolis Museum. Optional One Day Cruise 3 Island (Aegina, Poros and Hydra) with Lunch. 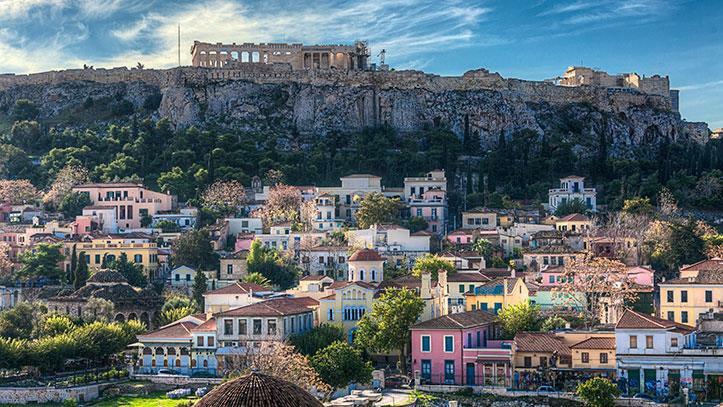 6 - nights accommodation in Athens including breakfast & hotel taxes. Any item other than mentioned in the package. Entry Visa cost of LE 2500 per person. Original stamped HR letter in English mentioning the salary, title, hiring dates and social insurance number. Original stamped bank statement for last 6 months in English showing a reasonable amount, stamped per page and must be printed a maximum of 07 days prior to the appointment date. Translated movement certificate in English or Greek if you have not entered the Schengen area in the last seven years. Visa is obtained in approximately 15 – 21 working days from application date. For Egyptian males, military approval is mandatory to pass Egyptian borders.